What culture do you think traditionally practiced this? What attitudes could you change to live by this? How rich do you feel? 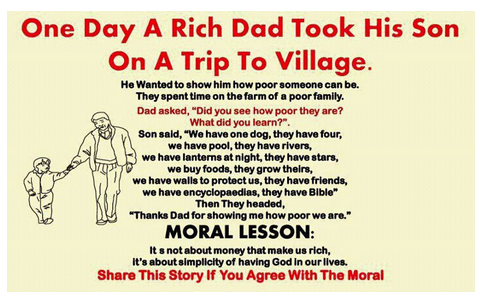 After reading this how rich do you feel?